Protection spells can be used to put you at ease and protect you from harm and negative energy. No matter who we are, we can all feel vulnerable at times. Whether your fear the negative energies of others or the fear of loss or damage to your property, you are in no way powerless. With the protection spells you can build an energy field that will keep destructive forces away. Read on to learn how to perform spells of protection. 1. First things first – you must consciously identify your fears. The type of protection you need will definitely influence the content of the spell. Mentally destructive forces and negative energy needs to be handled differently than physical threats. 2. Describe the history of ownership of your home, if that’s what we want to protect. Pay close attention to the feelings you get, no matter how vague they may seem, when you write about the previous owners. The energy they have left behind could be what is making you feel uncomfortable. Do not disregard these feelings especially if they are quite intense. 3. Meditate on the person who is causing you pain and suffering or unease if you are performing protection spells against someone. It will also help if you write a letter to this person and explain to them why you feel vulnerable. 4. Buy a black and white candle with a strong white wick. Light the candle in a place in your home where you feel the most safe and happy. Imagine yourself having a field of thick white energy around you. Call on this field of power protection whenever you feel threatened. 5. Pour some hot water over 1 teaspoon of the culinary herb, basil. Let it stand for half an hour. Run a warm bath and then add the basil water to it before hopping in. Relax, concentrate and visualize yourself moving through life confident and courageous and most importantly – safe from harm. 6. Delicious food can help you! Eat more protein like chicken, beans, cheese and tofu whenever you feel vulnerable. Spicy dishes with garlic, onion, black pepper and cayenne can also help to keep negative energies away. While you are eating these foods, again visualize yourself to be totally free from harm, threats, negative energies and psychic vampires. 7. You can make an incredibly simple protection spells for your house by merely burning sage in a censer. Walk through every room in your home, including the attic, basement and garage, all the while chanting what you want to happen. Do not forget to really get into all the corners and nooks and crannies to fully dispel the negative energy. when it comes to the intent and way they are cast. You should speak or chant in the positive rather than the negative. For example, concentrate on what you want to happen and not what you do not want to happen. Don’t label or single out the negative but just focus on the positive. For more great protection spells and plenty of others to cater for your every magickal need, please click the image below. 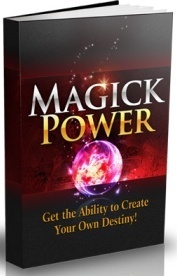 These are the real deal and are magic spells that really work with substance and authenticity. Take a closer look now and don’t forget those protection spells!